Stampin Up | Stamp Right Up! It’s been a while, so I wanted to make sure I started the New Year off right by getting more of my creations posted for you all! One big change you will notice: I will always now be posting the measurements of all cardstock & pieces used on my cards! I know it’s super frustrating for me when I go to case a really cool card I found, only to not be able to recreate it just so because my proportions or measurements are off. Without further ado – here is a really cute, and easy card to whip up. 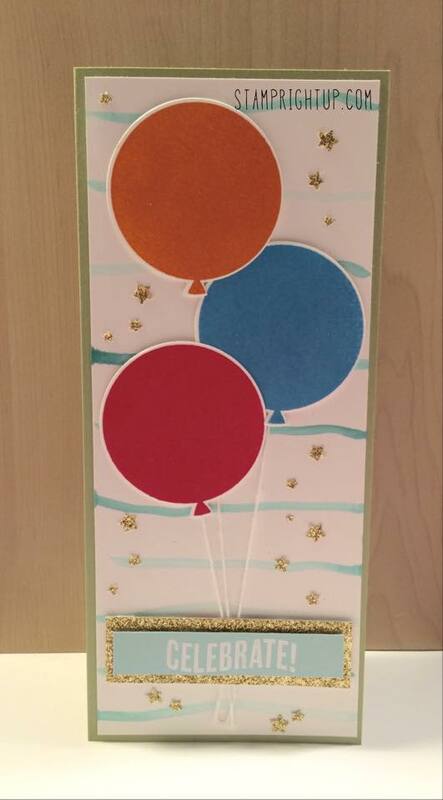 This card is great for a make & take event or if you need a card on the go. As always, your comments are welcome and appreciated! Are you new to watercoloring for card makers? Watercoloring with Stampin Up inks & a waterbrush is much easier than it seems! I love the illustrative style of the balloons on this Honeycomb Happiness stamp set that is one of the FREE stamp sets for Sale A Bration 2016. Stamping the balloon images in Stayzon black ink, I added Soft Sky ink to the sky for a background, then colored the balloons with Blushing Bride and adding a touch of Smoky Slate to the bows. 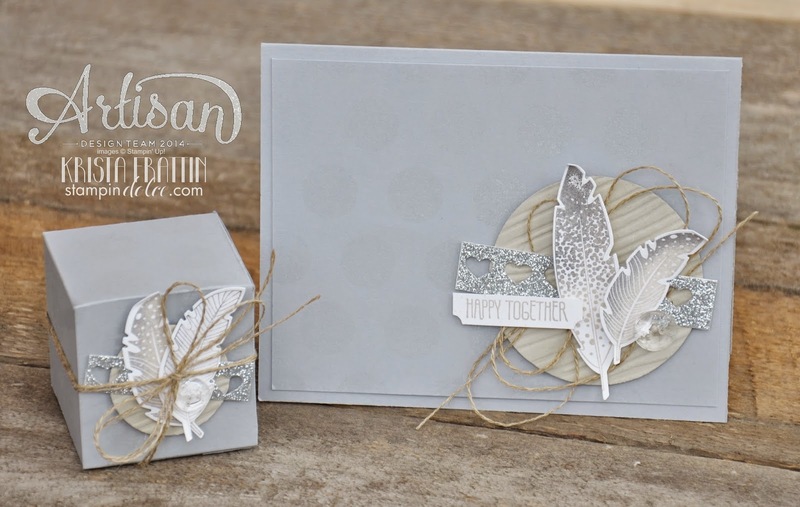 The absolutely-to-die-for new Blushing Bride glimmer paper tiny dot accents and heart I punched out with the owl punch – I love how versatile the Owl Builder punch is! The super nifty little honeycomb embellishment is new to the Stampin Up in the Occasions 2016 catalog. They come in 3 different colors: Blushing Bride, Mint Macaron and the white as pictured below. 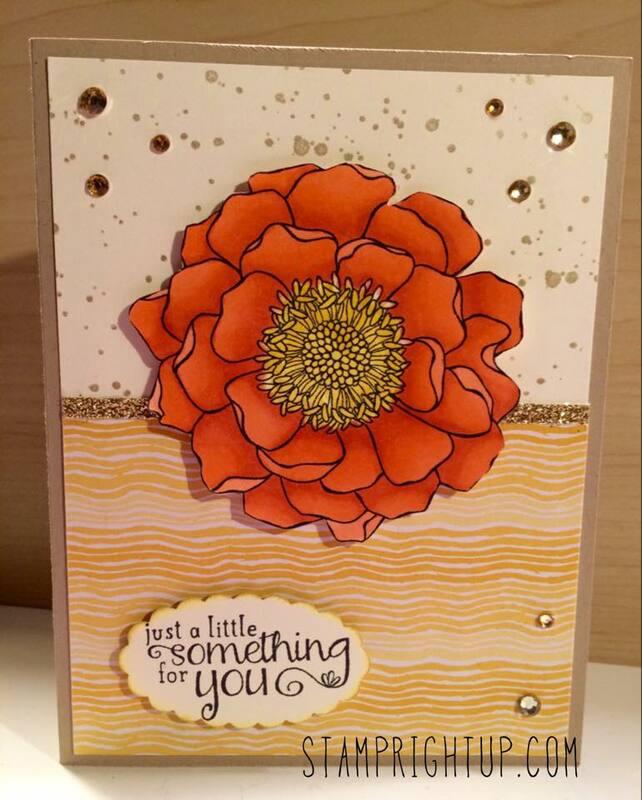 Stampin Up always comes out with such great releases and I can’t wait for you all to see the new Sale-A-Bration mini catalog, and of course, the Occasions Spring Mini catalog. 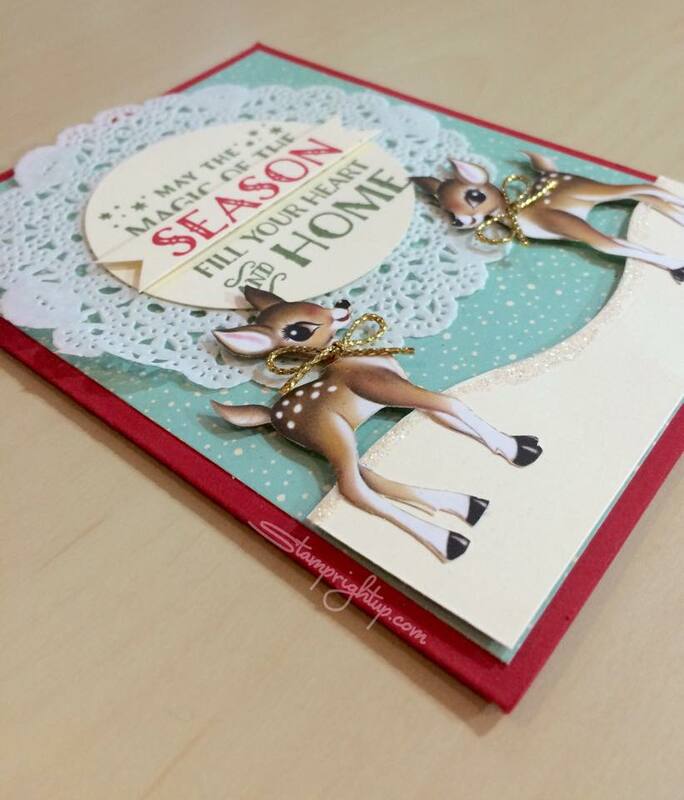 It’s been a busy few weeks for me – I have had three very successful workshops that featured a card made with the Home For Christmas designer series paper from Stampin Up. I LOVED the vintage retro look of the pattered paper and I knew I had to use the paper in a workshop! The fun sentiment was stamped with the Cozy Christmas stamp set, once in Real Red, then again in Mossy Meadow. I cut the ‘season’ word out of the first stamped image then adhered it to the mossy meadow image using some dimensionals after I punched the mossy meadow image out using the 2.5″ circle punch and finally attached that to the doily using my tombow. That’s all for now stampers – if you love the materials I used to make this card & live in Canada I can have any of it shipped direct to your door. Just email me to place an order! FREE STAMPIN UP CANADA WIDE SHIPPING – ENDS TODAY! 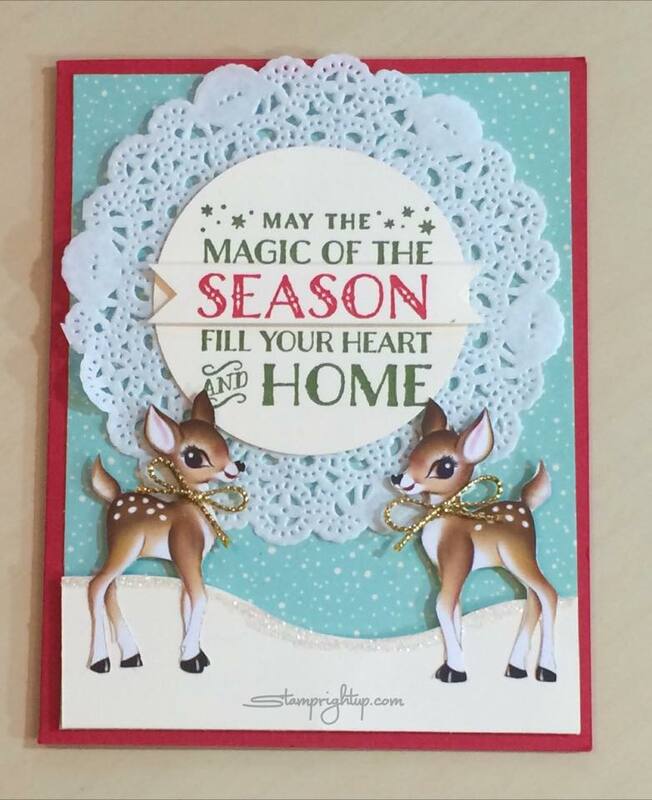 It’s that magical time again, when Stampin Up offers free shipping, anywhere in Canada with NO restrictions and NO minimums!! That means you can buy glue and have it shipped to your door for FREE, or you can finally order all those goodies on your wish list and save yourself some cash! That’s an instant 10% savings right there! A Special Thank You with a Give Away! I am so happy to announce that my Facebook page has reached 500 likes! AND, my video for the Sheltering Tree stamp set has reached over SIX THOUSAND views in just over a month! There is no way to thank each and every one of my subscribers and readers, so I thought I would host a giveaway to show my appreciation for all of you! This is open to all Canadian residents, and all you need to do to enter is comment below and tell me what stamp set from Stampin Up you would like to see me feature in my next video! Once I got started coloring with my new markers I had to try every color I had! 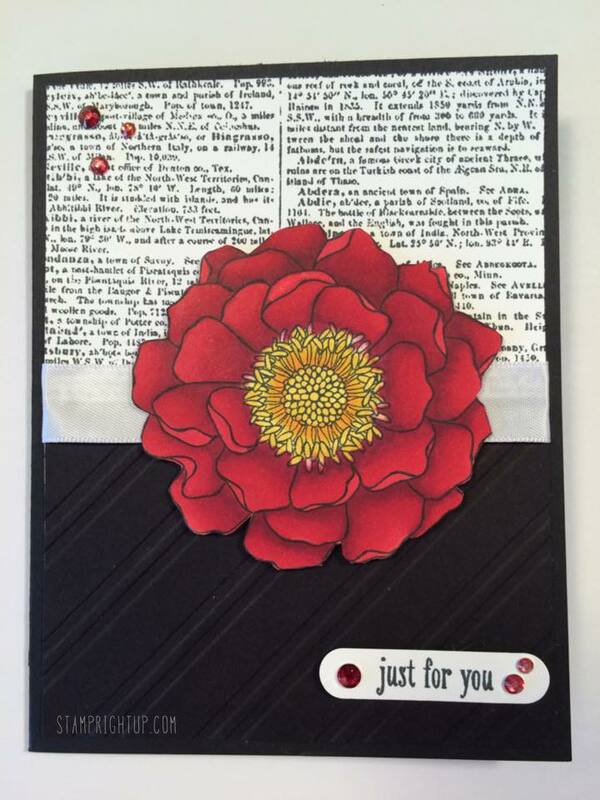 This card is made I made with the Blended Bloom image I colored using the Blendabilities markers in the Calypso Coral. I have said it before, but I love how these markers come in sets of 3, taking the guess work out of finding the right colors to make a proper gradient blend. One of hte other really cool benefits of these alcohol markers is that you can color on jsut about anything and the color does not come off! For this project, I used regular clear rhinestones and colored them with the lightest pumpkin pie blendability marker giving them that nice gold tint. The top background is stamped in Gold metallic ink using the Gorgeous Grunge stamp set – this is one of my go to stamp sets because it is so flexible and makes great backgrounds. I am hosting an Introduction to Alcohol Marker Coloring class this week, and here is the card the group will be making in the workshop. Each class participant will get a FREE pack of the Cherry Cobbler marker trio as part of their class fee too!